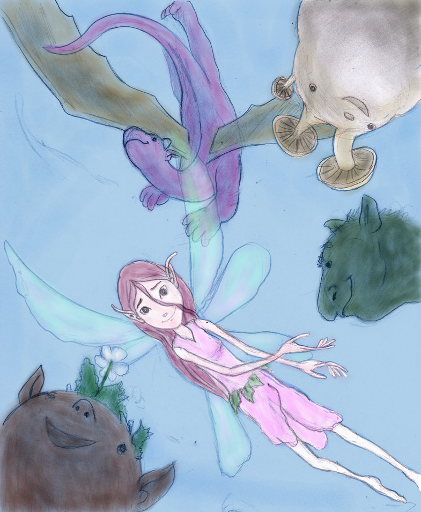 There are a few things I keep in mind when I draw fairy pictures. First I remember that in myth fairies rarely lived in another world. Rather the world of fairy was alongside our own world; on islands, in forests, in hills, farms, and even our hearths and hobs. 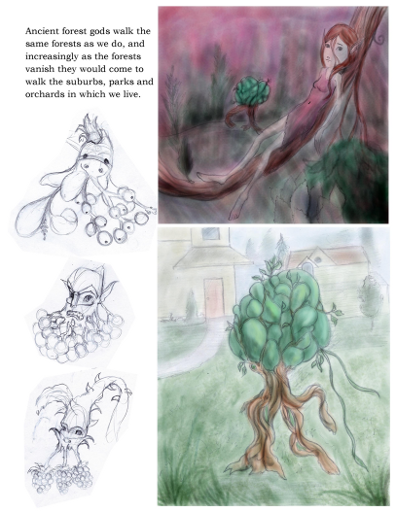 Second the fairy world is very organic and morphable, for although fairies don't like to change they are able to do so even more easily than humans do. 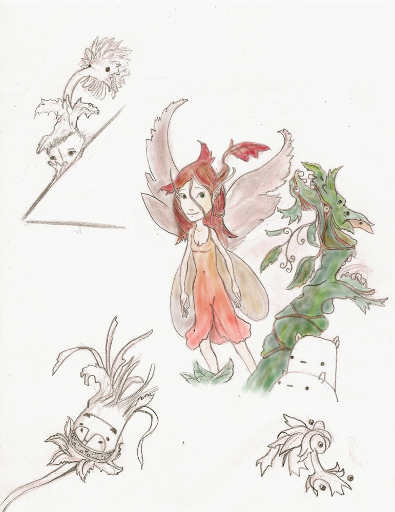 Thus when drawing fairy pictures one must consider how fairies might have changed over time. 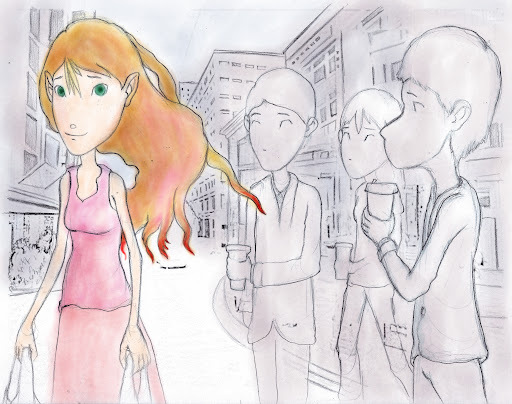 In this fairy picture for example we see a tree spirit returning from shopping, hidden in their human form. In this picture the Rusalka (a form of Russian Fairy) inhabits man made canals. 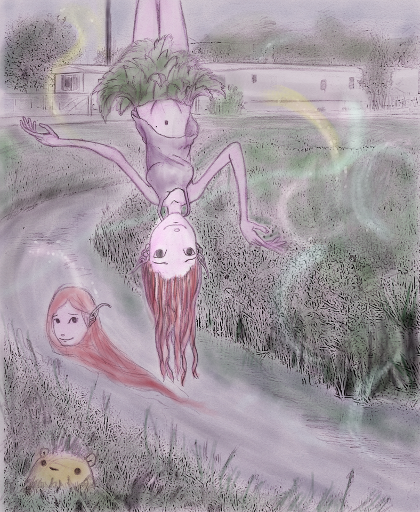 As an agricultural and water fairy, this fairy would spread into new fields through man made water, which in turn would send it through small cities. In this picture we see weed fairies. Everything in the fairy world has a spirit and thus weeds within a city and garden would as well. 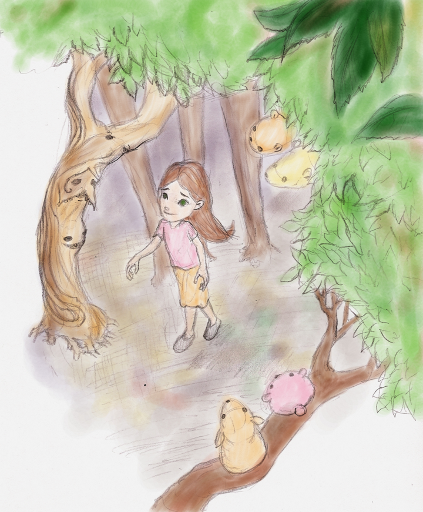 On entering a park a person would come to be surrounded by fairies of all kinds. Fairies are whimsical, playful. This is why they love children and this is why they are so difficult for humans to understand. Because we constantly seek a reason, but the truth is that there isn't always a reason. Sometimes fairies are just playing with us. 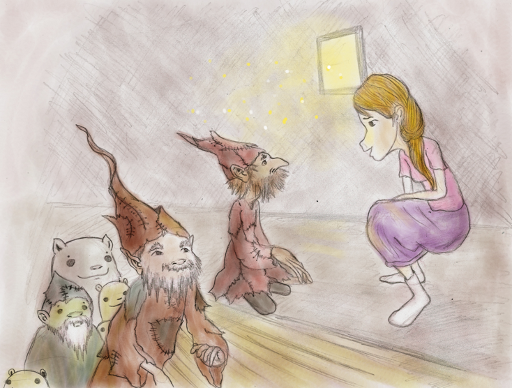 Still as this fairy picture shows it's from fairies that we can seek wisdom, that we can seek to learn. 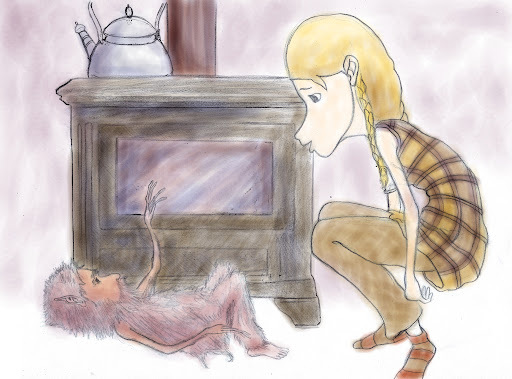 household fairies after all are our ancestors who remain on earth to help us.